The tires will only go so far, but the memories will last forever. Building a car is a dream for many, but for David Crowchild, it was simply a mission. For many years David’s older sister, Tina Crowchild, told him to always follow his heart. In November of 2014, tragedy struck when Tina passed away. Filled with sadness and grief, her famous advice to him kept nagging on him and left him wanting to deliver the promise he once made her. To keep her memory alive, he revisited an old dream he’s had since he was a child: building a Nissan Silvia S15. The Silvia was finally legalized in Canada, so David bought his 1999 S15 as his way of following his heart to commemorate his sister. 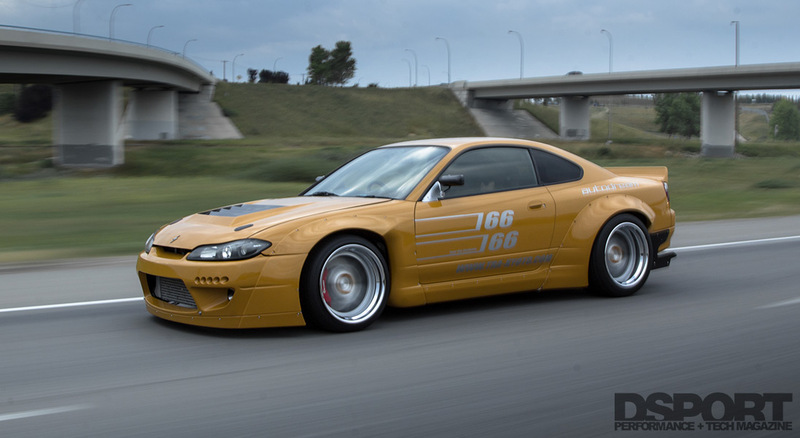 The S15 came with some modifications, but he already had a full image in his head of how he wanted it to come out, and nothing was going to stop him from making it a reality. Being that building a Silvia S15 has been David’s childhood dream, he had an ocean of ideas for it. He initially wanted to build a performance-focused drift car painted in safari gold after the original 1974 Datsun. 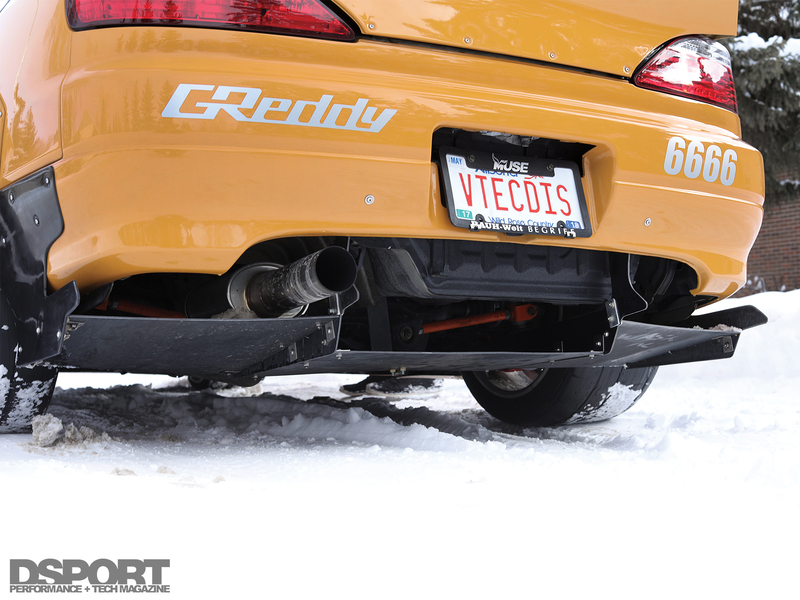 When David first bought the S15, he didn’t necessarily like the body kit that was on it; however, he loved its turbocharger. With some major facelift and engine upgrades, Crowchild knew he can turn this Silvia into the car he had dreamt about all of his life. With his motivation coming straight from his late sister, David quickly began building his car to start a new chapter in his life. 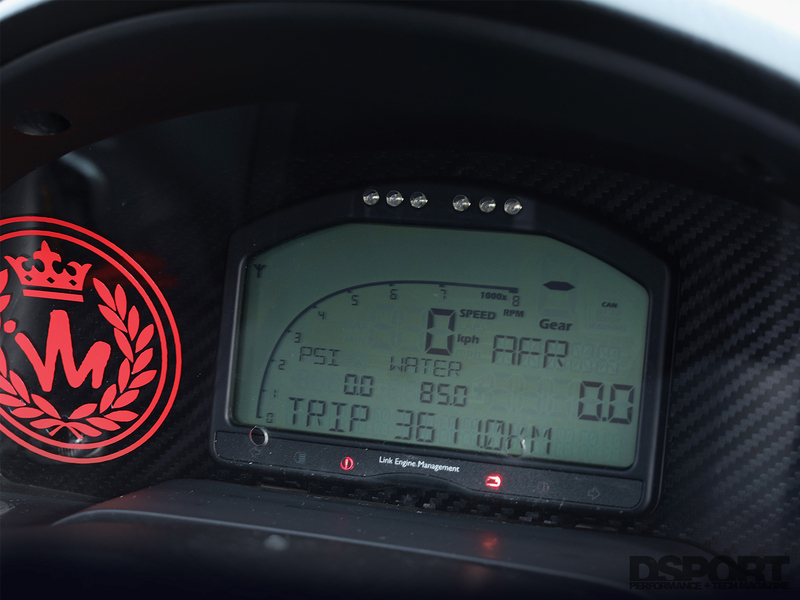 It is no secret the S15 is the fastest of all the S-chassis Silvias. The first generation of the S15 was debuted in 1999 with a 6-speed manual SR20DET engine that delivered 247 horsepower. For David’s Silvia, the SR20DET motor was long gone, and in its place he put the legendary 2JZ-GTE engine. The 2,998cc engine received CP pistons connected to Eagle Rods. David equipped the 2JZ with high performance King bearings to ensure the crankshaft and block remain unharmed. Sealing the block to the head is an HKS head gasket capable of handling far more cylinder pressure than the stock one. With the engine’s internals upgraded and ready to deliver more power, he started on complementing the engine with high performance parts that will allow him to reach the horsepower he desires. David dressed the engine with all sorts of nice outfits. 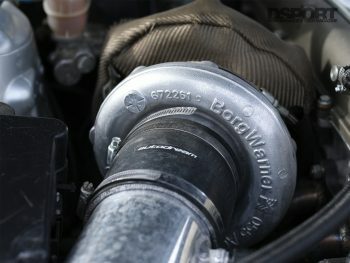 A custom Autodream intake is the air’s route into the engine, and a 3-inch downpipe is its exit. The large diameter allows for a smooth flow of the gases without causing exhaust back pressure, which is especially important with the Borg Warner S300 turbocharger forcing air into the 2JZ-GTE. The S300 has a 63mm compressor wheel and a 68mm turbine wheel. David approached a lot of the engine components with the mentality of “better have it and not need it than need it and not have it,” which is why he chose a turbocharger rated for up to 800 horsepower. With the amount of air being forced into the engine, David had to upgrade the fuel system to get the right air/fuel mixture. He installed dual Aeromotive 340lph fuel pumps. 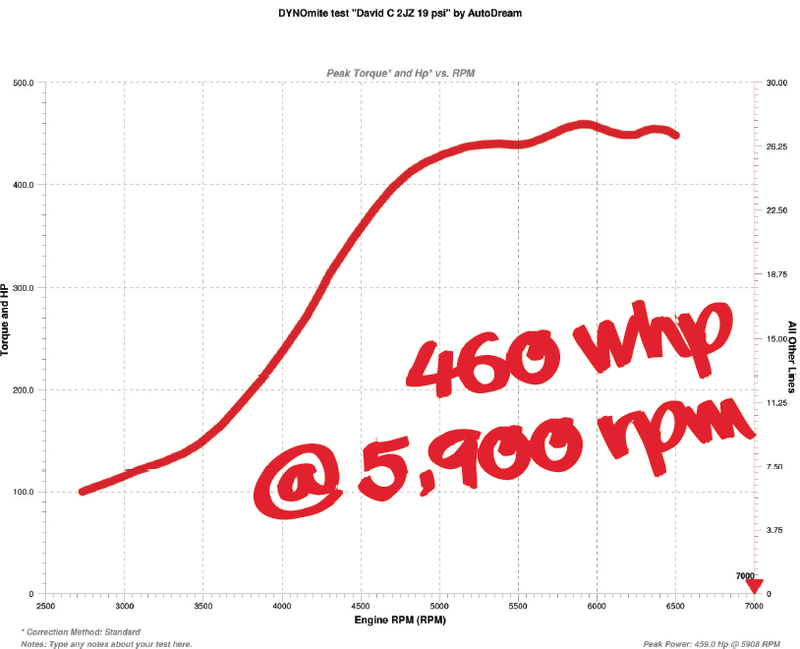 The pumps provide the DW 740cc injectors with superior fuel flow. With this car originally built for drifting, David knew he will be throwing it around corners, which would cause the fuel in the tank to shift to the sides, thus causing fuel starvation at crucial times. He installed a custom Autodream surge tank, which keeps the pumps fed at all times. To finish the combustion process, a set of NGK iridium spark plugs get their spark from Yellow Jacket coil packs. To keep the 2JZ-GTE cool under heavy driving conditions, Crowchild installed a Mishimoto radiator with dual electric fans. Finally, managing the engine is a Link G4+ 2JZ standalone system. The system allows the driver to gain control of the engine functions in a more user-friendly way. With the engine swapped and upgraded, the S15 delivers 460whp @5,900 RPM and 440 lb-ft of torque @4,800 RPM; double the power that of a stock Silvia S15. With the new engine and its modifications, the power increase caused numerous problems with David’s transmission. With a rebuilt R154 transmission in place, he installed an Exedy Twin Disc clutch kit. The twin-plate clutch is rated for 500 lb-ft of torque; they can handle street driving as well as rough racing conditions. 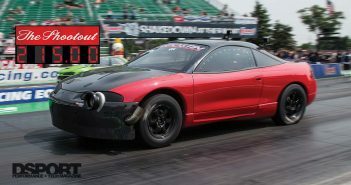 “When I swapped the engine, I knew I had to change the basic things for a motor swap, like the transmission, custom driveshaft, and a 2-way diff,” said Crowchild. David installed a Cusco 2-way differential, which better transfers the power to both wheels to maximize traction at fast corners on track. The 2-way differential transfers the torque during acceleration and deceleration. He then installed 1,000HP axles from The Driveshaft Shop to handle the extra power. The car was ready to go fast, but before revving the engine and tackling any tracks, there were some other modifications needed. With the power increase, David and his team had to turn their attention to the suspension system. 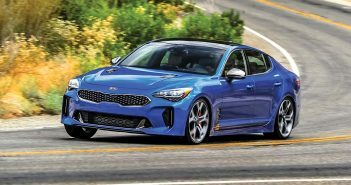 The old, stock suspension may work well for the car in its stock form, but as the power goes up, the soft suspension could start causing more body-roll, slop, and flex around fast corners. 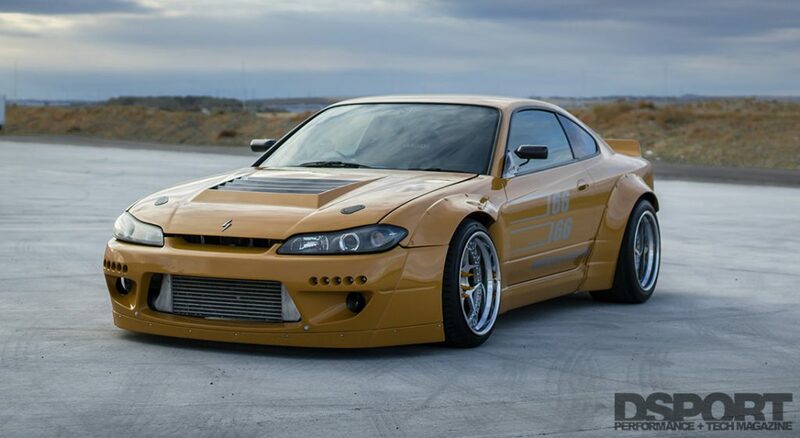 An HKS coilover kit keeps the S15’s handling stiff. 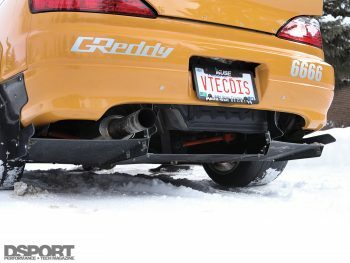 The coilovers allow for high traction, while giving the driver great feedback from the road. 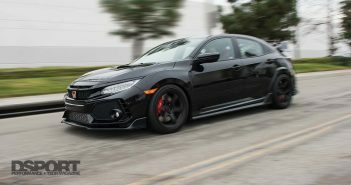 These coilovers are a great addition for the track, but they don’t sacrifice road manners either. In the interest of strengthening the chassis, Cusco sway bars were installed. The Cusco sway bars dramatically reduce body-roll, thanks to their rigid steel construction that keep the entire chassis tight. Without the right tires, great suspension alone won’t keep the car’s traction on point. 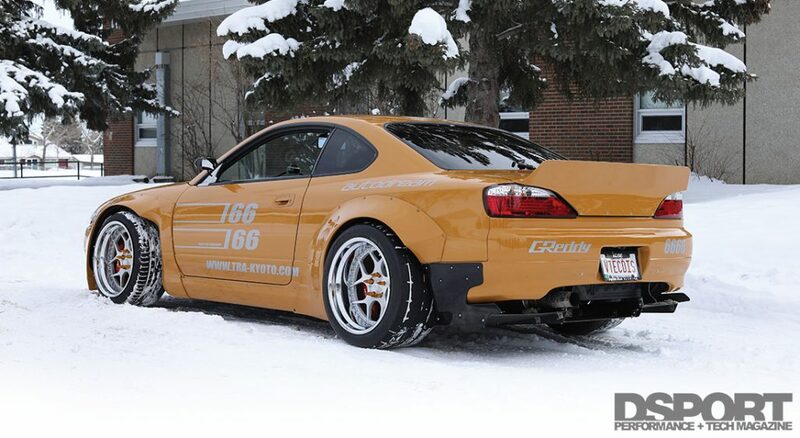 David’s S15 makes contact with the road through a set of Nitto 255/35R18 tires in the front, and 305/35R18 in the rear. 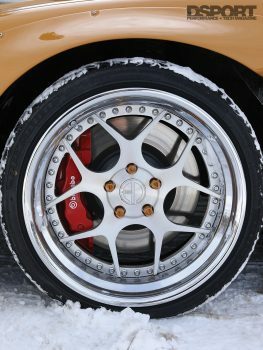 The Nitto tires wrap around a set of Art in Motion MA12 wheels, measuring 18×10.5-inch in the front and 18×12-inch in the rear. Art in Motion makes custom wheels to order, which allowed Crowchild to bring his vision to life exactly the way he wanted it. Behind the wheels, a set of Brembo calipers (6-pot in the front and 4-pot in the rear) clamp the Brembo pads on 355mm rotors in the front and 350mm rotors in the rear. The brake pedal’s feel and response are enhanced with the stainless steel braided brake lines. The braided lines also resist corrosion and make for a safer brake system. With the suspension, wheels and tires, and brakes set-up for the toughest of tasks, it was time for David to focus on the exterior and interior of his Silvia. With David’s intentions of making his Silvia a drift-car changing, he ensured the interior is comfortable for public roads. The Bride seats offer enough support for track days, while maintaining a comfortable cabin. On the inside, David pilots his car from the Bride Gen 2 seats using a Nardi 35mm steering wheel with an NRG quick release hub. A pair of Bulletproof Willian 4-point harnesses add safety to the cabin and secure David in place. As the engine’s performance increases, it becomes extremely important to monitor certain engine data, like the engine temperature and oil pressure. David displays his data through a Link-4 dash. On the exterior, the Silvia is a pleasure to look at. As David’s plans of making this Silvia a drift-car changed, he started focusing on making the exterior truly special to hold up at car shows. “I wanted to build a car that would really stand out amongst the rest,” said David. And stand out it does. The entire shell is dressed in a Rocket Bunny V2 kit. The kit does much more than provide great-looks, and modifications like the front lip, side skirts, and rear diffuser help create downforce to keep the S15 planted to the ground. The kit also helps with more than aerodynamics, and with the help of the functional Vis carbon fiber hood, the air smoothly exits through the vents to help with the air-flow, but more importantly, help keep the engine cool. To finish off the exterior, David painted it safari gold like he had envisioned, and complemented the color with Craft Square mirrors and Dmax LED taillights. Not many people can say they have followed their hearts and made a real dream come true, but David Crowchild has done it. “I promised myself that I would finish this car as a dedication for my sister,” David said. The ups and downs of the build only made the results more worth it. After an engine failure, transmission failure, and numerous hiccups that could’ve discouraged anybody, David always remembered who he was doing it for, and that kept him going through the thick and thin. With the 2JZ-GTE powering the Silvia, the suspension system ready to take on whatever condition he puts it through, and the body displaying a tastefully-built, true JDM vehicle, we can all agree that David’s sister, also known as “The Ace of Hearts,” would be proud.